Lots of Porsches went through on Wednesday. http://rmsothebys.com/lf16/london/lots/1995-porsche-911-gt2/1082305 - £1.8m+ for an 95 GT2. When this current game of musical chairs stops, more than a few people are going to get their fingers burnt! Will make the recent property recession look pathetic by comparison! Will it end though? Now cars are viewed like works of art. They just get older, rarer and more expensive. Add in the tax benefits of investing in a "depreciating asset" and it's win win. Does seem like a feck of a lot of money for an Audi though! Yes. 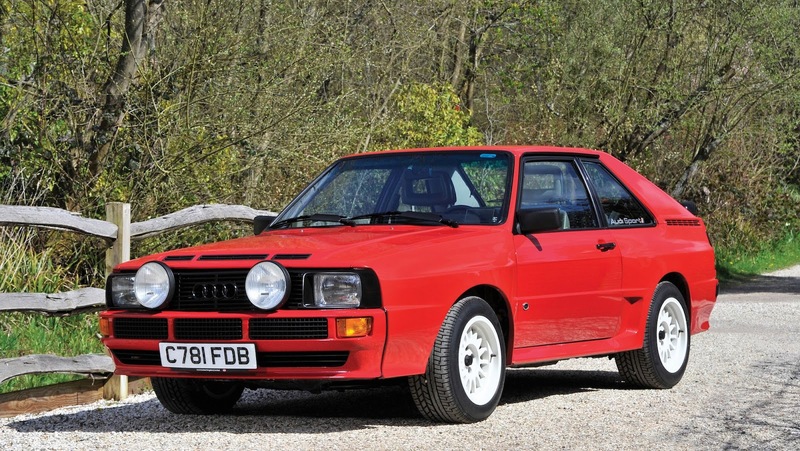 400k for a Quattro Sport which were sub 40k within the last ten years. 1.8m for a 1995 911 that was sub 100k within the last ten years. "I almost bought one 20 years ago, but got put off by a Wright[sic] up in car magazine, saying they would be incredibly expensive to maintain. There was a white one for sale at a dealers in Fernhurst about 10 years ago, I used to drive past it going to work sometimes it was up for £26k stood next to a white ford rs200 for similar money." Simply my all time, ultimate car. Rare as. Cool as. Beautiful. Would rather have a Ruf CTR2 (993 based) and £1.5m+ change! I'd rather have an F40!